Here, we've pulled together our Top 10 Santa Barbara vacation activities. We've explained how to find these points of interest, how long it will take, and all the specifics necessary to make your day trip to Santa Barbara memorable. Our activities won't break your bank, but the memories might break your heart. 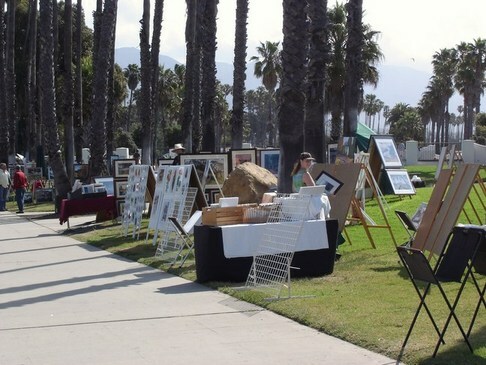 Now grab a cup of coffee and get ready to make Santa Barbara one of your best trips ever! 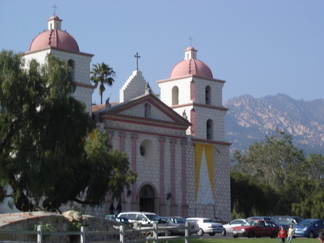 Santa Barbara Mission- is a must see Santa Barbara vacation activity. Why? 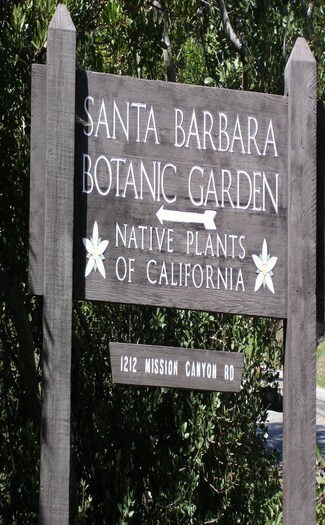 Because it's one of the most unique day trips in Santa Barbara. Open daily 10am to 5 pm. Easiest way to get there is to exit 101 at Mission St. Drive towards the mountains, then turn left at the fourth light which is State Street. Go two blocks to Los Olivos and turn right, following Los Olivos up the hill until you see the Santa Barbara Mission on your left. Park in the Mission's free parking lot. Admission is $4 for adults to tour the Mission. Pay in the gift shop. Give yourself an hour for the self-guided tour. If you have a chance to follow a docent led tour, go for it. We always learn something new when we follow one of the Mission's trained docents. 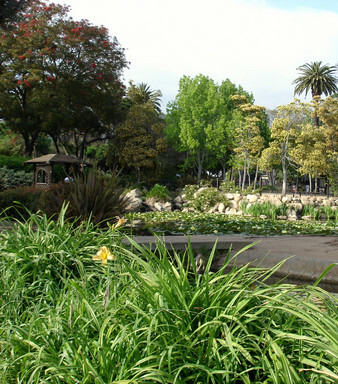 Bring a picnic and your Frisbee and spread out on the grass across the street from The Mission at the Rose Garden. Look south and see the blue Pacific on the horizon. 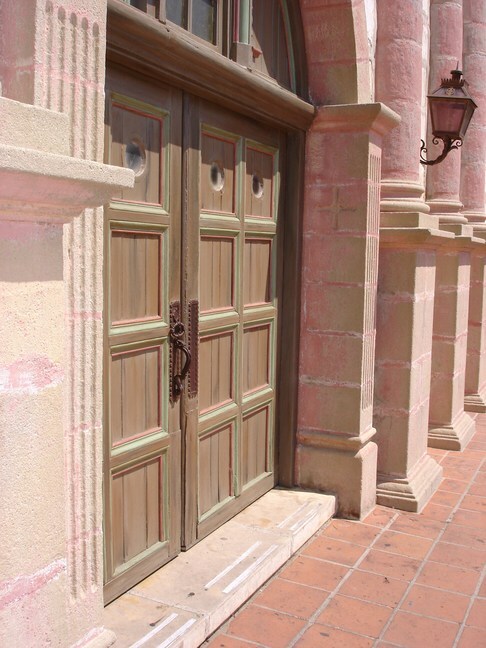 Local Tip- Nothing so grand as the Santa Barbara Mission all dressed up for opening night of La Fiesta in August. Also, see if you can find the marker in the old cemetary for the real-life girl written about in Island of the Blue Dolphins. She's buried here. A Santa Barbara vacation to the old Mission isn't complete until you've found her. Mission Santa Barbara! Cabrillo Boulevard Promenade and Stern's Wharf-Did you bring a bike? If not, no worries, you can always rent one. Otherwise, bring your walking shoes and enjoy the stride. 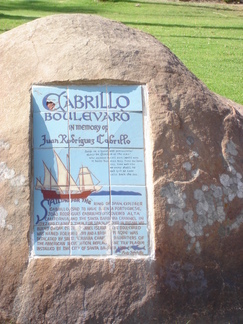 The Cabrillo Blvd. Promenade winds its way from Leadbetter Beach past Santa Barbara Harbor where it intersects with Stern's Wharf a the foot of State Street. Skate boarders will want to take a few runs at the Santa Barbara Skate Park. 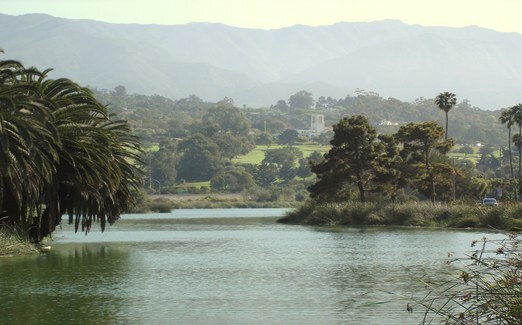 From there, pedal, walk, or run towards East Beach all the way to the bird sanctuary. 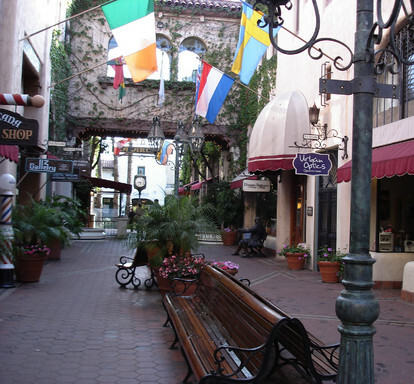 Restaurants, shops and even and the famous Art Walk (on Sundays) are found along the way. Are you into day hiking? Exit 101 at Cabrillo Blvd., park at the Bird Sanctuary and walk or jog to Shoreline Park and back. Distance is approximately 6 miles. A Santa Barbara vacation wouldn't feel right without a little exercise. Park free anywhere along Cabrillo Blvd. 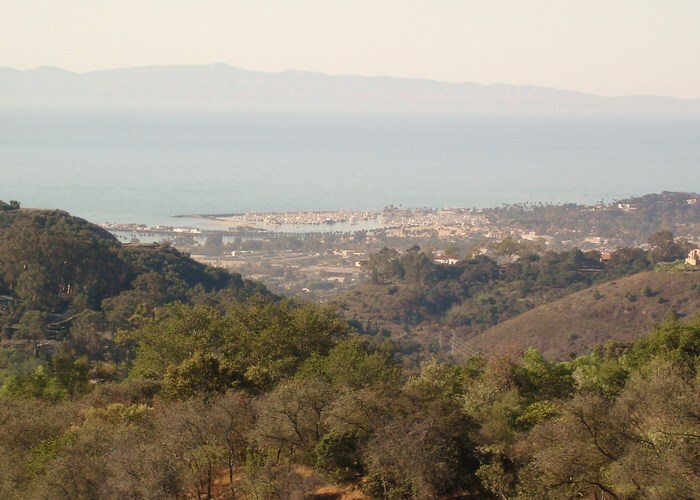 between the bird sanctuary and Santa Barbara Harbor. Plan on spending at least a couple of hours exploring the promenade. More on Santa Barbara Bike Rides. 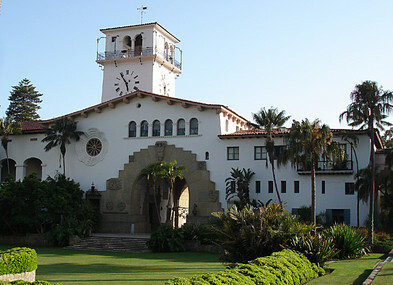 County Courthouse Sunken Gardens-Who wants to go to court when on a Santa Barbara vacation? Don't miss this architectually awesome piece of Santa Barbara history. The Courthouse information booth is located in the lobby. Open 10am to 4:30pm on weekends. Free docent tours at 2pm daily except on Sunday, again at 10:30am on Monday, Tuesday and Friday. Bring your camera and get a few photos of the SB cityscape high above from the courthouse bell tower. Local Tip: Check-out the Mural Room on the 2nd floor of the Courthouse. Enormous paintings of the first encounters between Spanish explorers and local Native American tribes on the Santa Barbara beach. Directions:Exit 101 at Garden St. and drive north to Figueroa, turn left and park at the city parking garage at Anacapa and Figueroa Streets. Give yourself an hour for this day trip. More Santa Barbara Courthouse Info! State Street-I know, everybody goes there, but that's what's so cool about taking a Santa Barbara vacation. You have to be where the people are, at least part of the time. Exit 101 at Carrillo, drive towards the mountains until you cross State Street. Free parking for the first 75 minutes in any one of the many city run parking lots. Local Tip-Have an incredibly good sandwich, dessert or cup of coffee at Finestra in La Arcada Plaza located a block from from the Courthouse on Figueroa and State Streets. It's hard to put a time limit on shopping, so give yourself an hour. Santa Barbara Zoo- Where else can you see exotic animals with the Pacific Ocean in the background? Open 10:00 a.m. to 5:00 p.m. every day except Christmas, and 10:00 a.m. to 3:00 on Thanksgiving. Directions Exit 101 at Hot Springs/Cabrillo Boulevard exit. Turn towards the ocean on Cabrillo and continue to the first stop light and turn right on Niños Drive. The Zoo entrance is a block down the street on your right. Depending on the time of year, the parking lot either costs $3, or it's free. Admission: Adults 13-59: $11 Children 2-12/Seniors 60+: $8 Children under 2: Free Parking: $4 (free with SB Zoo Membership) Local Tip: The train tour of the Zoo is a great way to get off your feet and take a break from chasing your kids around. It's a bargain at $3 for adults and $1.50 for kids. And don't miss the Barnyard where the kids can feed the animals. 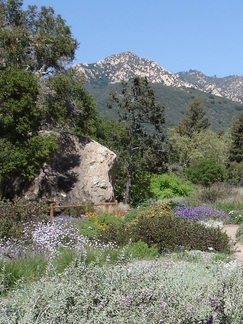 Give yourself at least two to three hours for this Santa Barbara vacation activity. Zoo Day Trip-More Info! 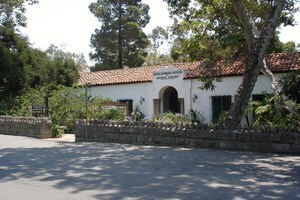 Santa Barbara Natural History Museum-You can walk there from the Mission! Every school kid in Santa Barbara goes to the museum almost yearly from the time they're in pre-school. Having purchased a family membership for many years, my kids qualify as junior professors of natural history and could probably teach a class on half the exhibits. Open daily from 10 am to 5 pm. The museum is closed: the first Friday in August for Fiesta, Thanksgiving, Christmas Eve ('til 3:00 p.m.), Christmas Day, New Years Day. 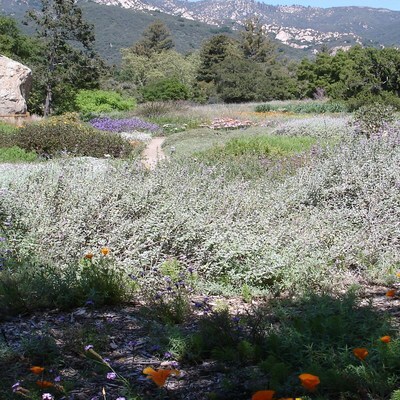 Directions: Same as the Old Mission, but drive towards the mountains on Los Olivos. Once you pass the Mission and drive over a stone bridge, stay to your left until you see the sign for the museum turning left on Las Encinas. If you come to Foothill, you've gone too far. Parking is free. Once there, give yourself at least an hour and a half to see the museum. Cost is: • Adults $8 • Senior (65 and over) $7 • Youth 13-17 $7 • Children 2-12 $5 • Under 2 free Local Tip: Get your photo taken by the whale skeleton in front of the museum- everybody does. The museum is free to the public on the 3rd Sunday every month. Natural History Museum Day Trip-More Info! Chase Palm Park-My wife says there's nothing like relaxing in the lawn chairs with a basket of goodies for Thursday Night Free Concerts. What Santa Barbara vacation would be complete without making a Trader Joe's run? Share some organic goodies and a bottle of wine with the ones you love. Add a kick back afternoon at Chase Palm Park and you've got a top ten spot. 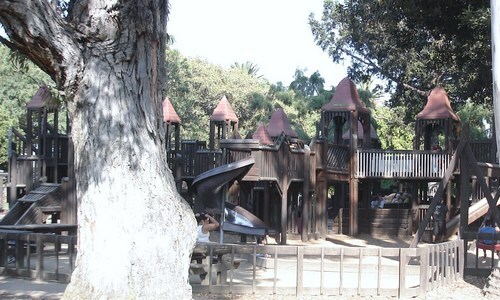 A playground for the kids is at the back of the park. Listen to one of the frequent concerts and watch the sunset while your kids play. Directions: Exit 101 at Garden St., drive towards the ocean, then left on Cabrillo. Chase Palm Park is on your left. Discover more concerts and special weekend events here. 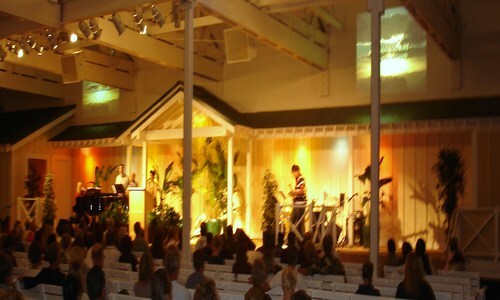 Calvary Chapel of Santa Barbara-Sunday morning worship at 8, 9:30 and 11 am. Get your Spiritual mojo working on your Santa Barbara vacation. Exit 101 at Garden Street, drive towards the ocean, left at 1st light, Yanonali St. Follow signs to the church on your right. Ask God to bless your Santa Barbara vacation while you're here and we pray for your safe return... Calvary Chapel- More Info!